OK, so who is Elisha Townsend and what does he have to do with anything Nautical you could ask. The answer is , Elisha Townsend (Uncle Lish) was my Dad’s (Bob Townsend) uncle. Youngest brother to his father Valentine Townsend. What does he have to do with sailing, well the nice thing about owning a web site is you can do with it what you want to do, however, since Uncle Lish was traveling to China and Hong Kong in the early and mid1900’s he did have to do it by boat. That being said, This page has links to some of his writings and I will try to give a brief introduction to Uncle Lish and each of the articles. Soon, I hope to have scanned images of the post cards the were sent from China while he was there. Elisha Townsend was born March 8th, 1892 in Huron County Ontario Canada as the youngest of 11 children. (His Twin Brother Elijah died after 6 weeks). His father was Elijah Townsend and his mother was Sarah Fisher. (More to be published on that side yet but there is extensive details on the Fisher family in Ontario to be had). When I was cleaning out my Dad’s office, I came across a steno note pad with writings in it that looked interesting. The note pad turned out to be Uncle Lish’s hand written notes. Being somewhat like my Dad, I thought this would be interesting to many other people, especially my family, so I scanned the articles with the intent to put them on the web and here they are. Out of Hong Kong was not in the book but a separate set of pages from a different book. In this writing, Uncle Lish talks about his last trip from Hong Kong, which was probably about 1949. The trip would have been amazing but his reference to the heathens is even more interesting. The rest of the articles are as they appear in the book. Most seem to be articles written for a sermon or letters to specific people and were all probably written after he returned to Montreal in 1949. What We Have to Offer Does seem like a small sermon or just a writing of some sort. Regions Beyond talks about the apparent lack of interest in the church and the closing of many churches in Canada and the lack of financial support for the churches and its Missions. This is a very long article so if you are down loading it make sure you have some bandwidth. I’d rather have Jesus seems to be a sermon written in Phonetic Chinese. I have tried to have it translated by a friend in Hong Kong but to no avail yet. If you can get it translated please send it to me Jim Townsend at JimTownsend@bobsnautical.com. Prayer is a short article on the different types of Prayer. 1 COR.11:23-26 is another sermon but in this one he starts with English then switches again to what looks like phonetic Chinese. Uncle Lish was fluent in Chinese (not sure of the dialect) and again, email me if you can figure out the translation. Jim Townsend at JimTownsend@bobsnautical.com. Clinton Letter This is a letter to the Editor of the Clinton News Record which I figure was written around 1949/50 as he only refers to my Mon and Dad and one daughter which would have been Marilyn. 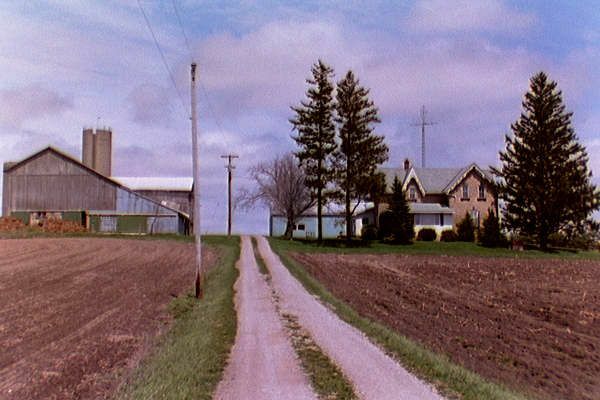 Uncle Lish was born on the family farm (picture above) in Londesborough Ontario, out side of Clinton Ontario and later they moved to Clinton. My Grandfather retired to Clinton Ontario where there is a Townsend Street named for our family. Early Missions in China is an account of some of the earliest attempts to send missionaries to China and a justification for continuing to go there to convert the Chinese to Christianity. Watchman, What of the night (Isa 21:11) starts as an account of Uncle Lish’s first night in China in 1920 and then rolls into a very interesting (presumably) sermon that would have been delivered at a Sunday service. Famine in China This is a quote from the Bible in which Uncle Lish leads into a very interesting story about his time in Ansiang and the daily customs that they had there. For the Era Know your Ministries is a brief life account of Uncle Lish and a great piece of family history. If Thou Canst Believe is a sermon style article. Tribute to Robert Baker and a Second Tribute to Robert Baker are just that. Again, I do not know who Robert Baker is but if you find out, please drop me a note JimTownsend@Bobsnautical.com. Letter to QEH is a letter Uncle Lish wrote to his employer at the Queen Elizabeth Hospital in Montreal. Blessed are the Dead looks like the start of a sermon but is only one page. Rev 3-18 talks about Currency and the pound sterling. Interesting is also the cost in Chinese dollars to send a letter to Canada—3,000,000.00. This is also the last article in the booklet which still had several blank pages in it.